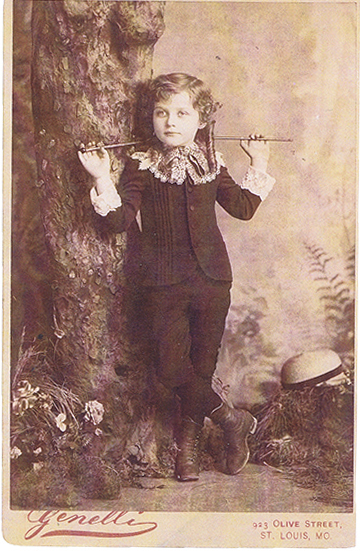 John Kern Broderick, born May 12, 1879 in St Louis Missouri; died Nov 23, 1953 in St. 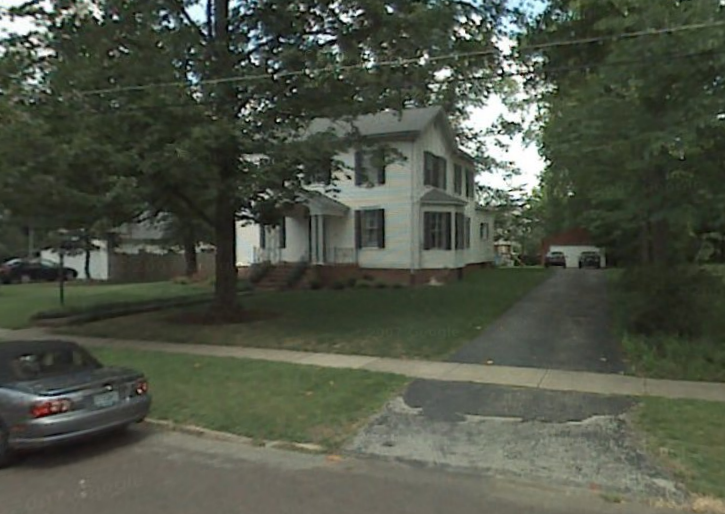 There was one other remarkable conveyance that stood unused for about one year in our side yard, something not seen on any Kirkwood laon of that small size before or since, I guess. My father wans an early plane enthusiast and built a plane (with financial aid from his father). From the accompanying picture, one can see that in design, it was even more advanced than the delta swept-wing. 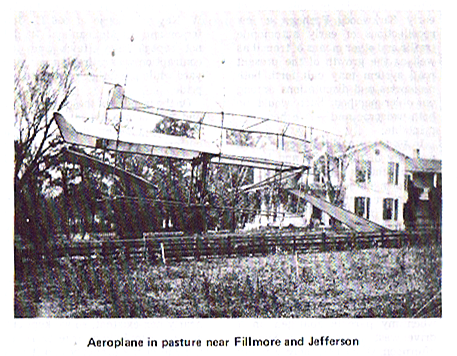 Needless to say, its maiden voyage one June day on the vacant pasture between the W.W. Keysor's house at 306 E jefferson and the McLean's at 340 did not repeat Kitty Hawk and the contraption was retired to our side yard while my father recovered his pride. Apparently JJB and JKB built a plane. I got some pics from Bryan & Anne BB. 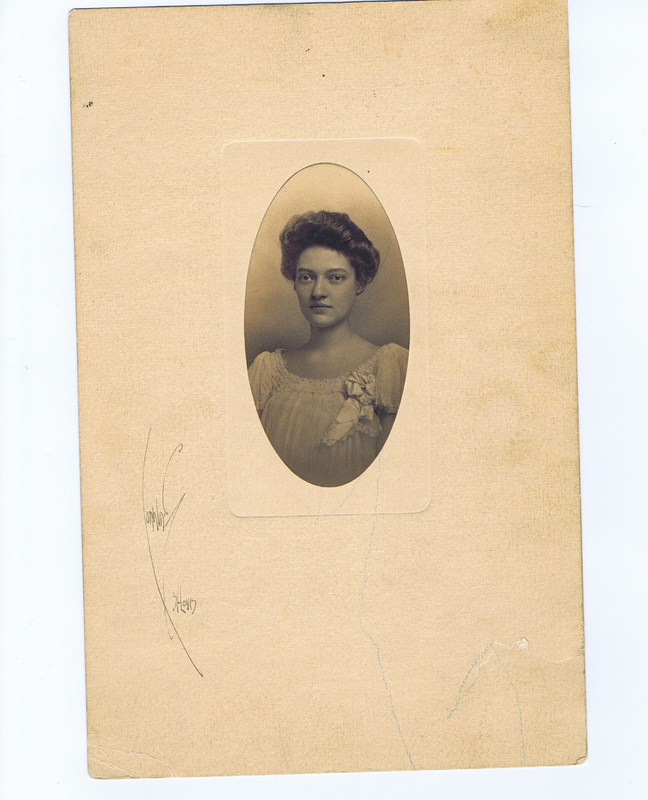 This morning, Im scanning some documents sent to me by Jeannot Chomeau (descendent from JJB's grandson JKB sr). there is a pamphlet in there written by Mary Chomeau, and she has a great pic on the cover of her father. And notably, there is a picture in the pamphlet of a plane. Note the comparison pics between the picture below and the earlier pics on the right. Are there tons of planes like this out there? 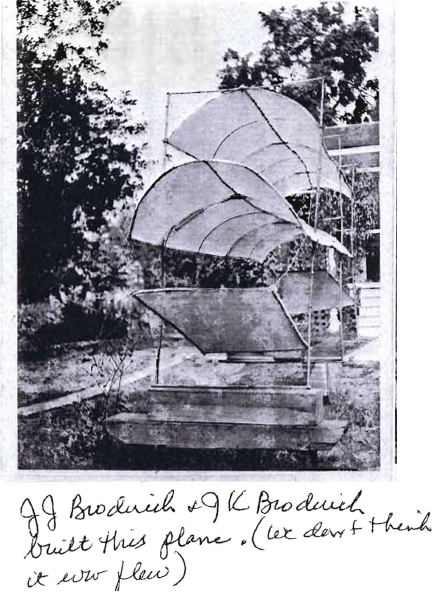 Or is this confirmation that JJB and JKB actually flew their plane….see below. 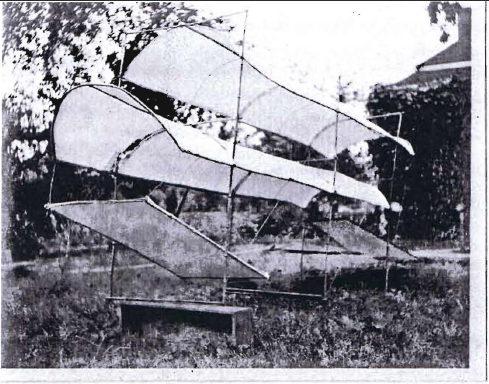 Since writing the above, Jeannot confirmed (as well as Mary's excerpt fromt the Kirkwood Historical Review) that the plane actually did fly and crashed on its maiden flight, a disappointment to JJB and JKB. I believe the picture just below is actually taken during that flight, and just before crashing into the trees. The wheel on the bottom tells me that the plane is moving from right to left, and the fin on the bottom right leads me to believe this as well. The top section does appear bent when comparing the pic below with the earlier pics to the right. 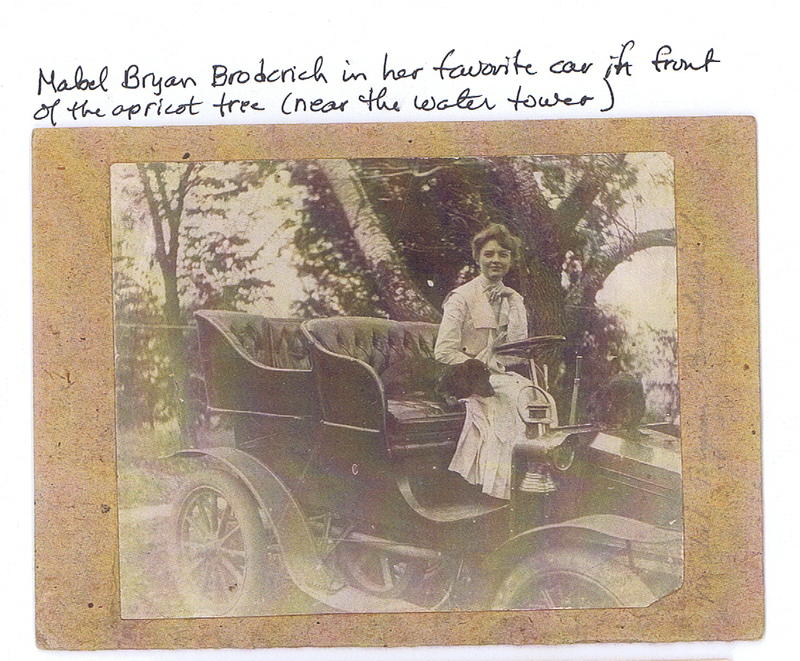 John Kern Broderick Sr was the first ownder of a car in Kirkwood, according to his daughter's pamplet pictured below. 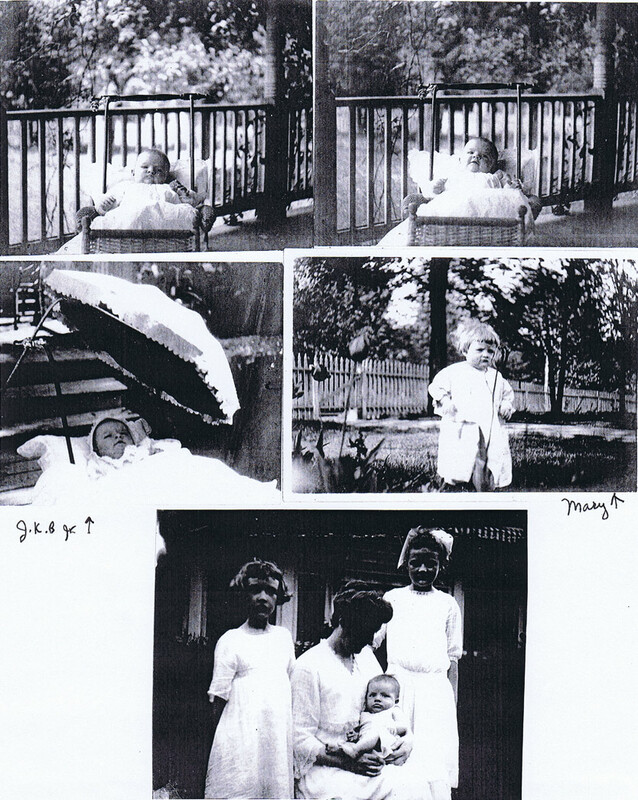 Mary B Chomeau published the Kirkwood Review, and was proud her father was the first to own a car in Kirkwood. 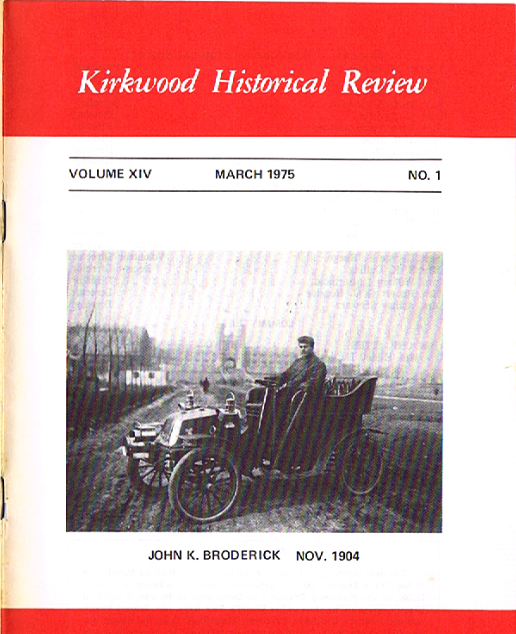 JKB is pictured on the cover with his 1904 Ford. 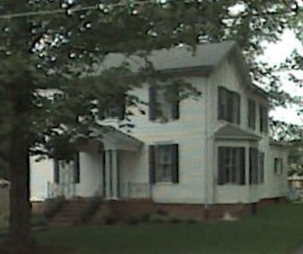 house where JKB attempted to fly the plane, according to Mary B Broderick Chomeau's writings in the Kirkwood Review. Note this is the picture taken just before the plan crashed. I understnad the plane was in the air approx 8 seconds according to Jeannot Chomeau. Upon closer analysis, it is clear the plane is in the air in this picture. However, the plane is flying from right to left, and you can see that it is about to crash into the trees. This plane was flown on JKB's property, 315 E Jefferson in Kirkwood Mo. Notes from item sent to me from Anne Broderick. 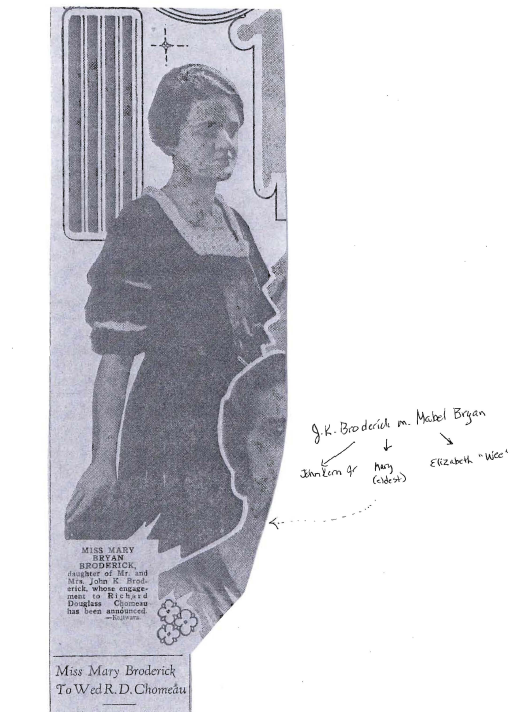 Alice was Francis Robinson's stuntwoman – pic included. Anne made me some copies from old Plates she'd found. 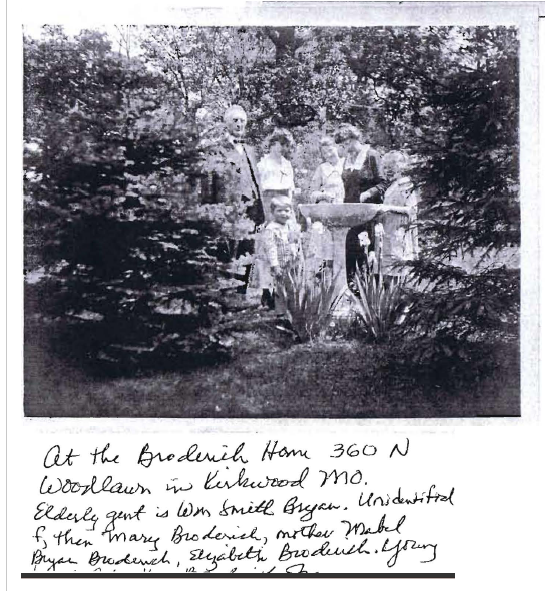 Once is a pic of probably Shapleigh Boyd, a distant cousin and close neighbor to the Brodericks on Woodlawn ive in Krikwood Mo. This has Grandmother Broderick's stamp all over it. She was a vigorous campaigner to get women to vote. 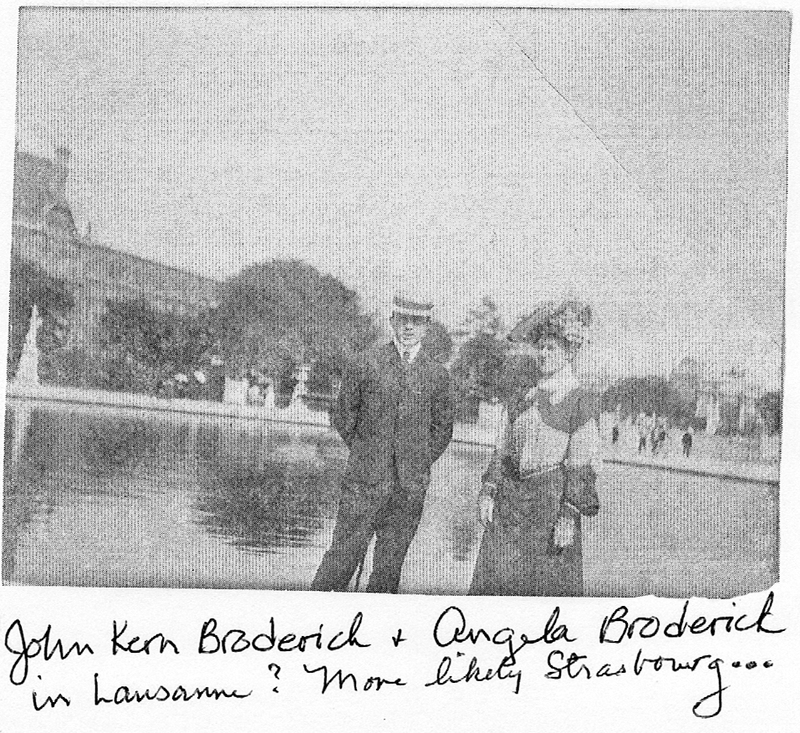 Im talking about peitte mabel Bryan Broderick, spouse of John Kern Broderick. Our of suffragette. 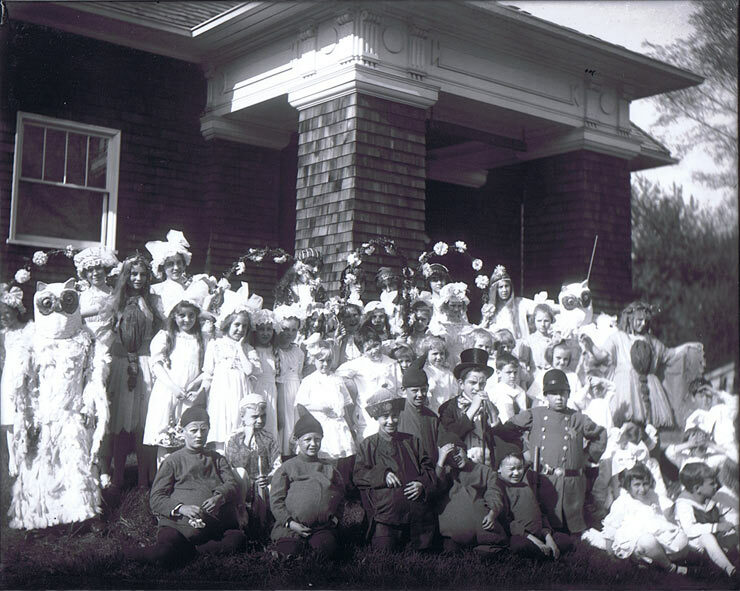 And she was hopelessly addicted to dressing up all the kids in costomues. He had her own full time seamstresses. So although this photo was never annotated, it fits. Thought you'd ejojy this bit of whimsy. 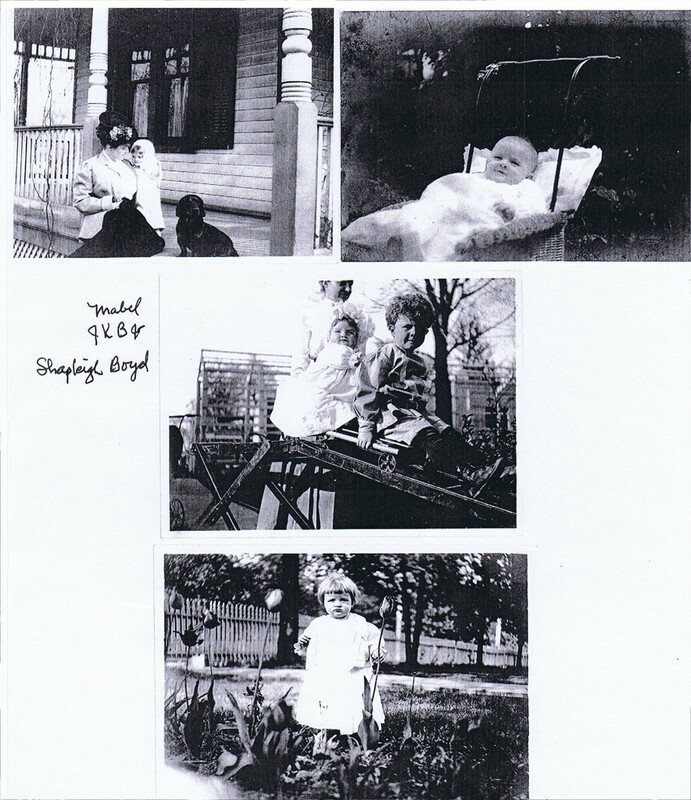 3 baby pics of John Kern Broderick Sr. One he appears to be about 5, one maybe 3, and another maybe 15 months? 2 more pics of JK Sr that were graduation. Another pic appears he was a doctor. Note is to see the sign on the window, but the pic is too faint. A lady is there too, so I assume that was his wife. A pic of JK Sr as a 20 something, and another of him with a dog. This is a great image. Great stuff in the background. Her outfit is crazy. 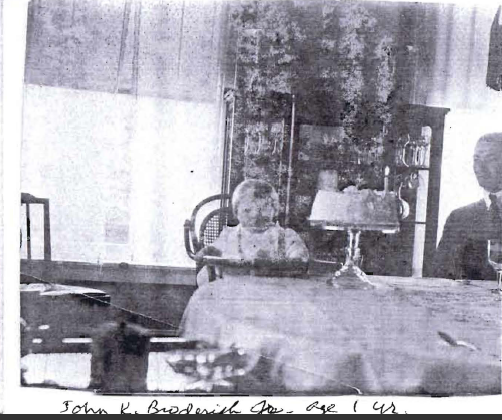 Pic of JK Broderick Jr, age 1 year. Cute. 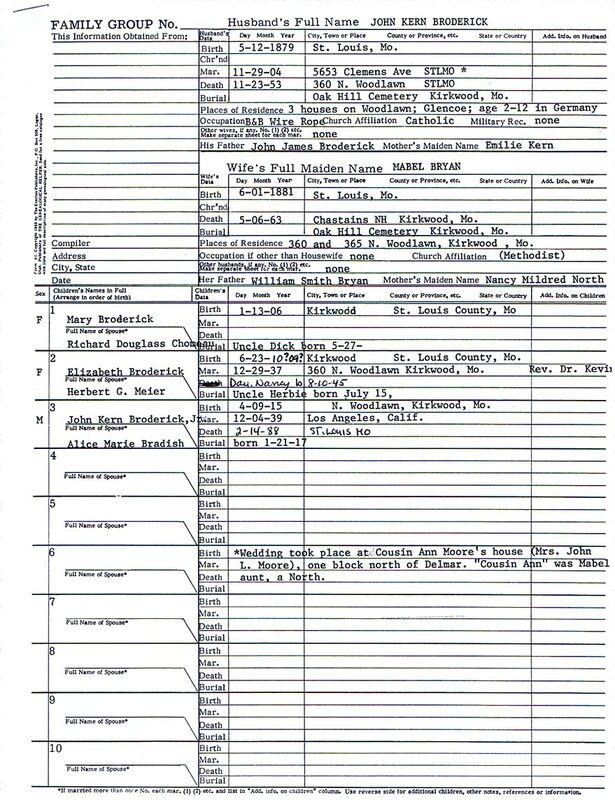 So this means that it is JJB's 2 sisters, his grandson, his daughter in law, and one more. 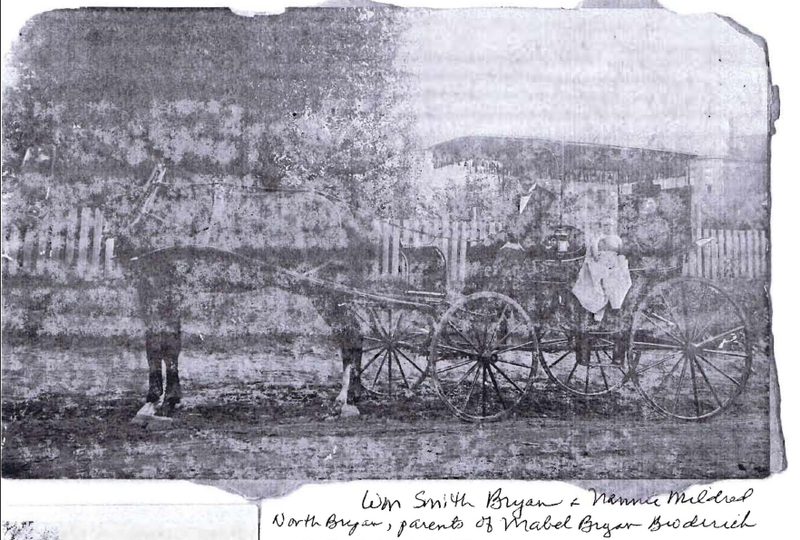 Family history of the Bryans, back to Boru. 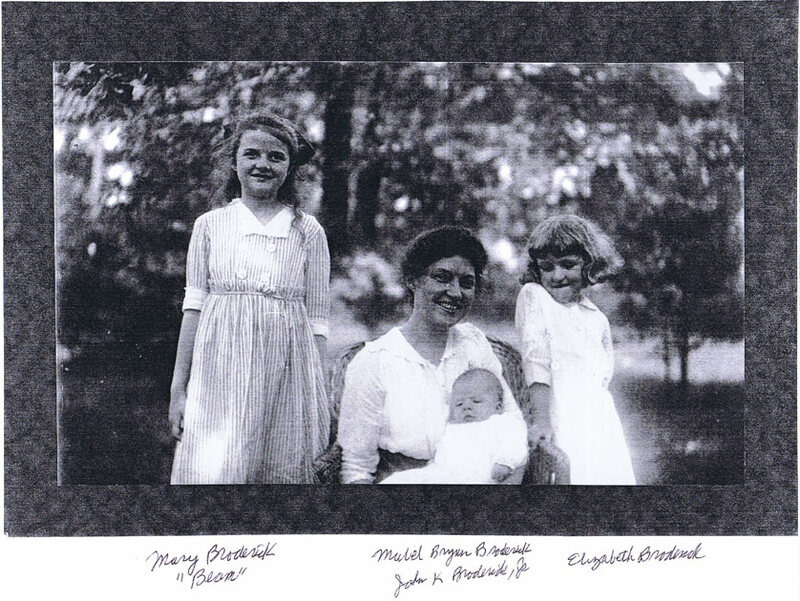 This would be Mabel Bryan, John Kern Bryan JR, and Johnny B. 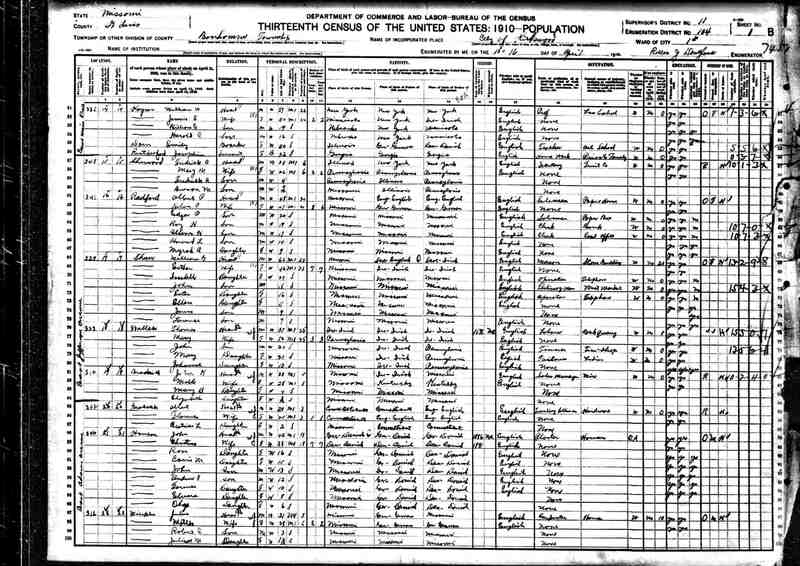 However, since this is the Bryan line, and not the Broder or Broderick line, this does not include us. However, it is very very impressive.